Edamame is a favorite snack or meal side dish of mine. 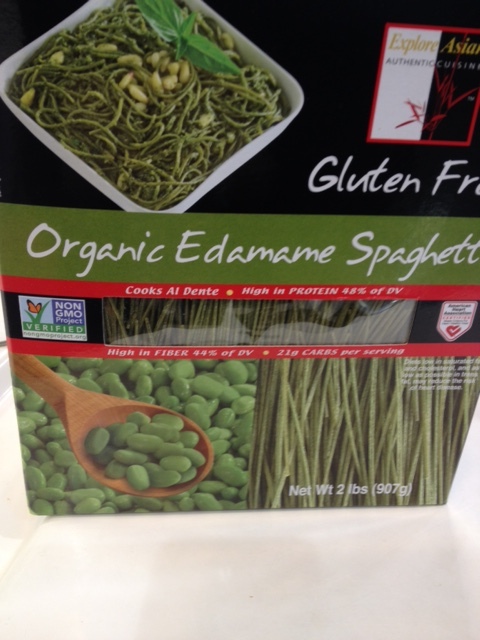 So I was intrigued on a recent Costco trip to see a free sampling being offered for edamame spaghetti. A new find at Costco, I will report back when we make it. The sampled variety was made simply by boiling it, with a bit of cheese and possibly olive oil on it. I found it tasty and not sticky or stiff to the palate. I tried it several times and then bought a box if it, something I rarely do after sampling products for free. 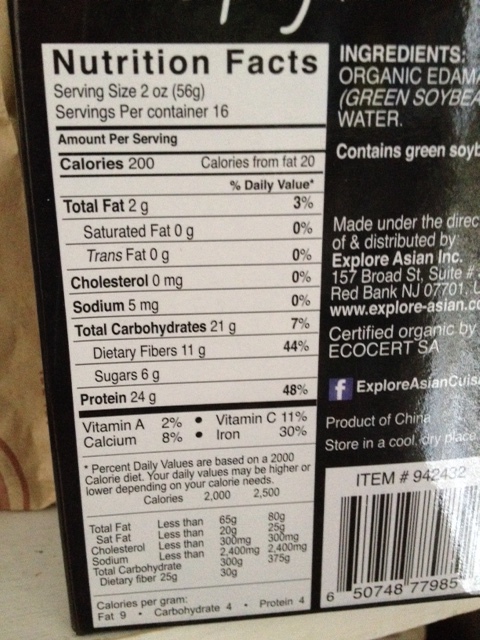 The nutritional profile looks promising: two ounces of the pasta has 5 mgs of sodium, 2 grams of fat and 6 grams of sugar. Looks promising, lots of protein too. I plan to make it for an upcoming party at our house that has at least one vegetarian coming. I’ll report back and let you know guest reactions.